Contemporary Clinical Oncology Training in the United States: Is Radiation or Medical Oncology Right for You? In the current era of multidisciplinary cancer care, many providers comprise each patient’s care team, including physicians, therapists, and nurses. Each of us has a specific role and approaches the patient from a different perspective, which is often based on our training and education. Medical oncologists and radiation oncologists are key members of a patient’s team for many different malignancies, interfacing at many steps of the treatment spectrum, from curative treatment plans to palliation at end of life. How does one become a medical oncologist versus a radiation oncologist? Here are some differences that may surprise you. Radiation oncology training is a five-year process. Students apply directly to the field through Electronic Residency Application Service (ERAS) and “The Match” in their fourth year of medical school. After completing a one-year transitional year or internship, which is usually in internal medicine (IM), they complete four years of radiation oncology training. Radiation oncologists are able to treat both adult and pediatric patients after completion of training. Some radiation oncology fellowships after completion of residency include image-guided radiation therapy (IGRT) and brachytherapy. However, the majority of graduating radiation oncology residents do not pursue fellowship training. Specialization occurs based on job availability, research, and individual interests. On the other hand, the path and training of adult hematology/medical oncology fellows can vary significantly. To enter a fellowship program, candidates must have completed residency training in IM either as categorical or in a combined residency training, such as medicine-pediatrics. However, adult-trained hematologists and oncologists do not treat children. Pediatric hematology and oncology is a separate training program and requires completion of a categorical or combined pediatric residency program. Applying to IM subspecialty fellowships usually takes place in the fall of the last academic year of IM training, though many trainees will take a year off and apply after residency completion. For example, one may work as a hospitalist for year prior to starting fellowship. The application process also occurs through ERAS, though subspecialties will have a separate “Match” date from residency programs. Most fellowships offer training in combined hematology and oncology; these fields have separate board exams and certifications. When applying, an applicant should keep in mind the preferences of the program, as some may suggest an academically inclined candidate pursue single board certification (i.e., only hematology or oncology, not both) so that s/he can focus clinical and research interests. In addition, the program may be geared towards training in either community or academic practice. Medical oncology/hematology fellowship is typically three years. Most programs offer dedicated research time, which can be spent in basic science, clinical research, or a combination. This time can be as short as one month or as long as two years, depending on whether the trainee will be taking board examinations in oncology and/or hematology. The clinical time during the non-research months is a mixture of inpatient and outpatient experiences in benign and malignant hematology, solid tumors, and bone marrow transplantation. The ACGME dictates the amount of time that must be spent in each area, but there is variation as to when these are scheduled during the fellowship, and what kinds of rotations a trainee chooses as electives. Radiation oncology residents rotate with individual attendings for two to three months at a time. These attendings usually specialize in one or a few disease sites, so trainees receive a broad oncologic education over the course of four years. Most patients are seen in consultation and receive treatment as an outpatient. Research is an integral part of academic radiation oncology and each program provides different resources for their trainees. Research time is usually reserved for the PGY-4 year; a typical schedule will be six to twelve months of elective time during that year. A medical oncology/hematology graduate may seek private practice, academia, or industry employment. Those in practice may ultimately choose to focus their time in a subspecialty of oncology or hematology, such as lymphoma or gastrointestinal (GI)malignancies. Fellowship programs allow trainees flexibility in order to explore and refine their skills based on their career goals. In addition, there are scattered one-year post-training programs that emphasize subspecialty training, such as a Fellowship in Leukemia or GI Malignancies if a graduate wants to further hone their expertise. As mentioned above, most radiation oncology graduates do not pursue fellowships. Similar to medical oncology physicians, they can seek employment in academia or private practice, depending on individual interest and job availability. As a physician progresses through training, it becomes increasingly obvious how important relationships are—not only between the physician and the patient, but also between physicians caring for the same patient. Radiation oncology residents and medical oncology fellows interface regularly through their respective training programs in educational activities as well as in the day-to-day care of patients. Continuing to understand each other’s backgrounds and overlapping our training experiences will further improve communication between the subspecialties and improve the care of mutual patients throughout our careers. 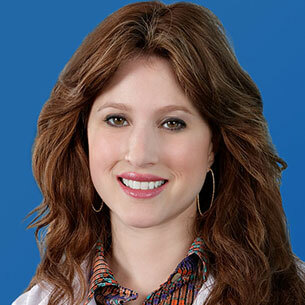 Dr. Knoll is a Chief Resident of Radiation Oncology at Mount Sinai Medical Center in New York. She serves as a Social Media Ambassador for the Tisch Cancer Institute at Mount Sinai. She also serves on the American Society of Radiation Oncology (ASTRO) Communications Committee. Her areas of interest include radiation medicine, medical education, and women in medicine. Dr. Aruch is the Chief Fellow for the Icahn School of Medicine at Mount Sinai Hematology and Oncology Fellowship Program. His areas of interest include medical education, survivorship, and transition of pediatric patients to adulthood, in addition to general hematology and oncology practice.